I’m questioning my mental faculties… No surprise to many (yeah, yeah, my family can all stop voicing their assent. You all are sooooo funny). Forgetfulness is becoming my ever-present, unwanted pal. My problem is that I see my world in layers, and should really look at the whole: when I work on a job, or layer, I tend to focus on ONLY that one layer. Often, other obligations become mere background noise. This past week we focused on getting school supplies, sports physicals, forms, etc. purchased, met, and completed. The previous week was spent moving kids rooms around and welcoming their friend to our home. It’s been busy, but I had completely forgotten our plans made for Sunday, August 16th. Guess who remembered to bring veils/scarves? Yep. Samantha. Three weeks ago, on the drive to Vidcon in Anahiem, I told Friend of The Girl (Samantha) that I wanted to attend a Latin Mass. As soon as I mentioned this to Samantha, also known as our Chief Organizer and Planner, she had her phone out and found each church in our area offering one. The Girl, The Husband and The Boy all were on board. Samantha later went on to research the different kinds of Latin Masses, appropriate dress, times, parishes, AND her own train route to get herself to the church. The only thing she forgot was my forgetfulness… The Girl had to remind me, “Mom, quit planning our morning, we are meeting Samantha, remember?” Of course not, I can’t remember where I park my car half the time! Needless to say, we all made it. And were early, to boot! 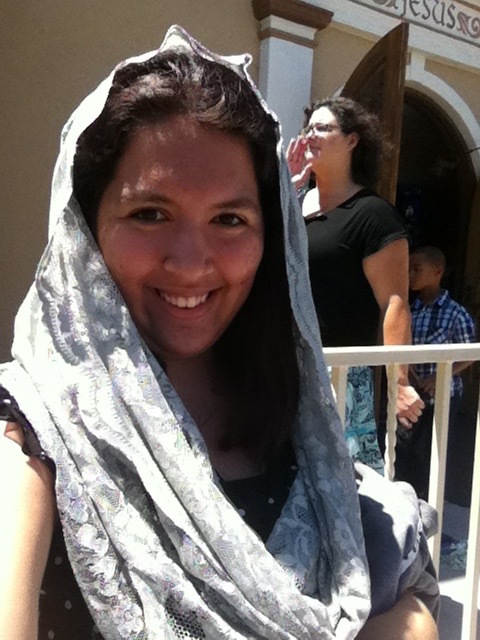 Samantha studied the different kinds of churches and different types of Latin Masses offered, and hit on the best one for us, Saint Anne’s Catholic Church in San Diego. 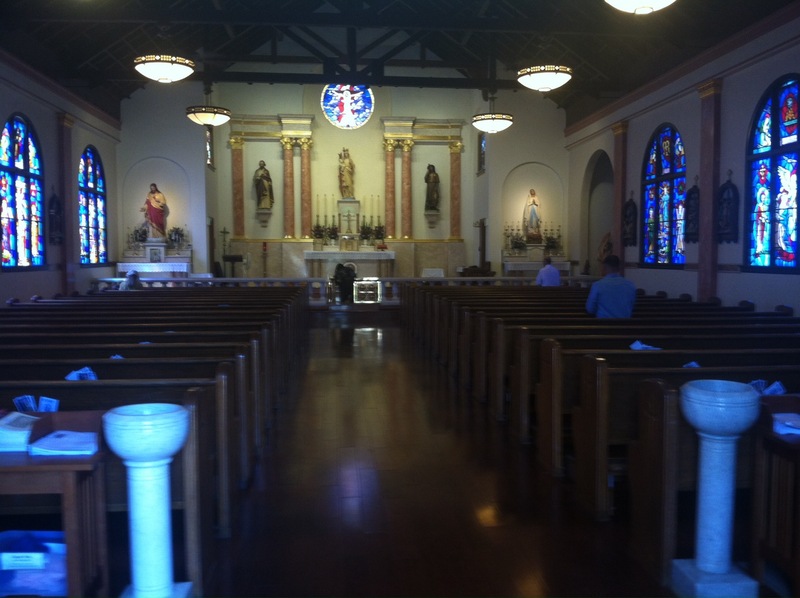 It was humbling to experience the Mass in the language of the early church. We all decided that we’d like to visit St. Anne’s again- the parishioners that we met afterwards were so warm and inviting. We felt truly welcome and are thankful for their warmth and geniality! Thank you for the research, the scarves, and these photos, Samantha! You will take university by storm, and no doubt continue to make everyone proud!